After attending a conference in Jakarta, I spent a few days relaxing in Bali. This small island is a popular tourist destination for Americans, Europeans, and Australians. My friends in Sumatra are very proud of Lake Toba, and it is indeed beautiful. But to walk on the beach, sand between my toes and watch the ocean waves crash into the shore—oh, it touched my soul deeply. I intend to post about the conference in Jakarta, as well as a few other things, but first, enjoy a few pictures from my time in Bali. See the whole set here. 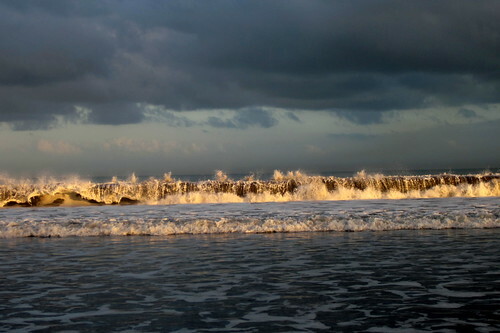 This is Kuta beach. Kuta is a city lined with shops, pubs, and discos. The beach is peaceful in the early morning. 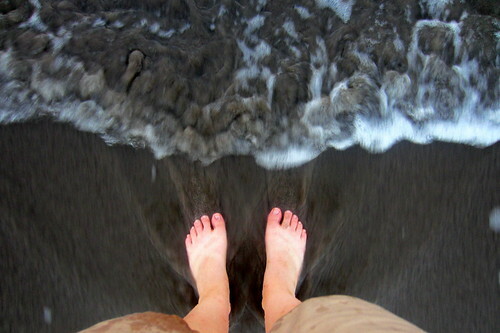 Sand in my toes, water over my feet. 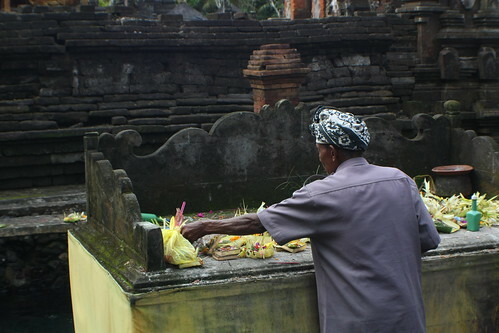 A Balinese man offers prayer in a ritual bathing temple. This island is predominantly Hindu.